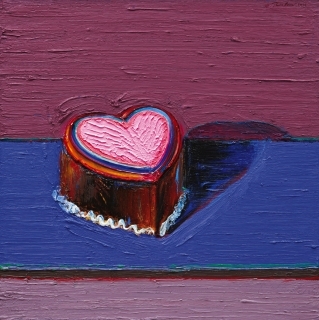 (New York, NY) Acquavella Galleries is pleased to announce an exhibition of works by iconic American artist Wayne Thiebaud, on view from October 1 – November 21, 2014. The exhibition includes a total of 49 works – 35 paintings and 14 works on paper. Many of the works included are being shown to the public for the first time, and several are compositions the artist has been working on for over thirty years. 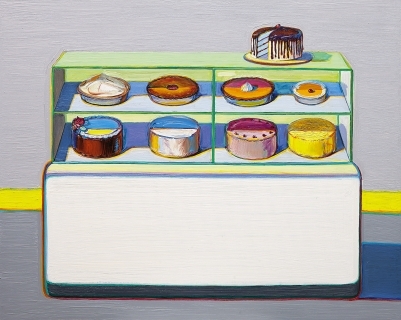 This is Thiebaud’s second exhibition with the gallery. Celebrated for his works that highlight the commonplace, the 93-year-old Thiebaud continues to shed painterly light on the people, places and things that surround him on a daily basis. Despite his association with pop artists of the 1960s, Thiebaud’s method is more aligned with the still life tradition – and this preoccupation with scrupulously representing his subjects sets him apart from his contemporaries. Ordinary objects rendered in the tactility of Thiebaud’s brushwork become resplendent, and thus his canvases radiate a particularly American optimism and nostalgia for the familiar. 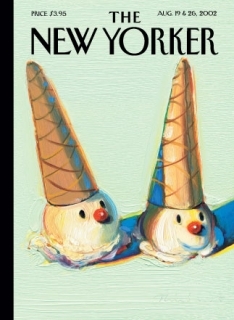 Wayne Thiebaud (b. 1920) lives and works in Sacramento, CA. 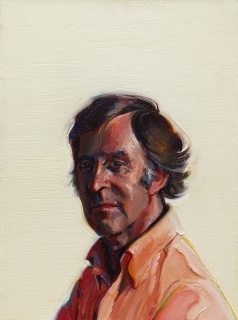 He has been widely recognized for his achievements as an artist and has received various prestigious awards such as the National Medal of Arts from President Clinton, 1994; the Lifetime Achievement Award for Art from the American Academy of Design, NY, 2001 and he was inducted into The California Hall of Fame at The California Museum, Sacramento, CA in 2010. 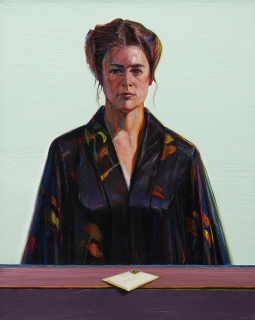 Thiebaud was the subject of a retrospective at the Whitney Museum of American Art in 2001, and his work has been exhibited in major museums and institutions worldwide. 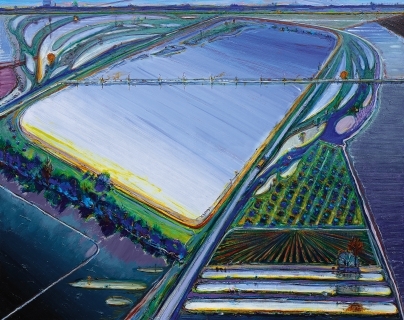 Thiebaud’s work can also be found in the permanent collections of the Los Angeles County Museum of Art, CA; Phillips Collection, Washington, D.C.; Crocker Art Museum, CA; Albright-Knox Art Gallery, Buffalo, NY; Hirshhorn Museum and Sculpture Garden, Washington, D.C.; and the Whitney Museum of American Art, New York.